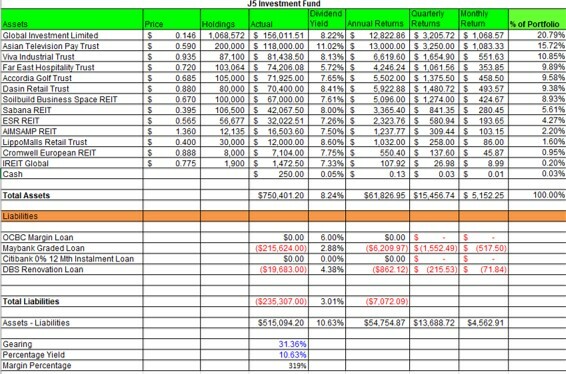 As the year draws near, here is a review of my portfolio. Probably I am going to give a bit more statistics as well. 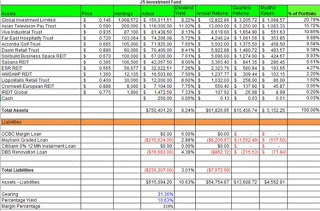 Net Income = $49,950 (Average of $4,162.50 per month) Do note that not all investments are made at the start of the year so it is a bit lower than the chart. Moving forward to 2018, I am not expecting a lot of changes to my portfolio. Probably some minor tweaks i.e. Far East Hospitality Trust if the yield gets too low, Sabana REIT if the distribution drops too low, Viva Industrial Trust if the price goes up too high, LMIR if I have a chance to sell at $0.43 again. Well, it does sound like there is a lot of changes. But definitely not so much. I would also like to thank my readers who have been faithfully reading my blog even though I got busy and wasn't writing as much as before. I hope the journey for you is as fruitful as mine and I wish you a Happy and Peaceful 2018 as we move ahead to create our own passive income portfolio to provide for us and our families. I am holding Lippo Mall, Global Inv, ESR, it seems their latest dividends drop and continue to be ....will you still keep them in your portfolio or switch to some more stable reits like M44U, RW0u? Thanks!